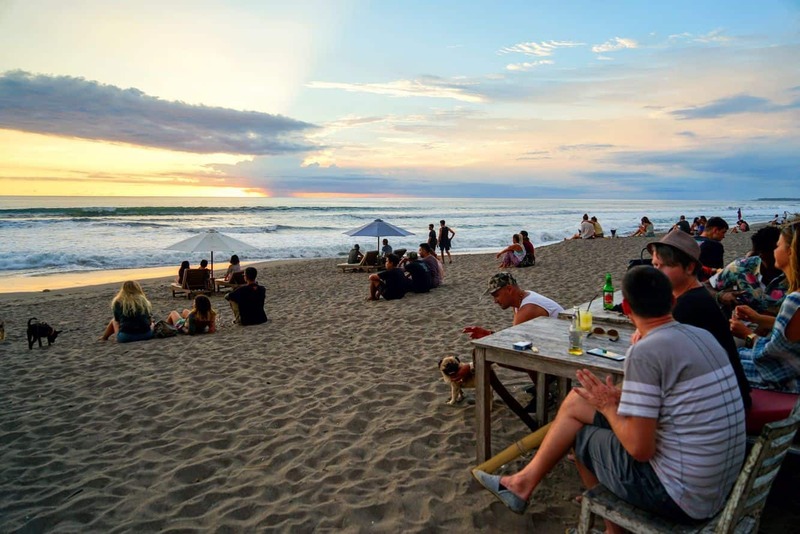 Canggu Beach is an exciting travel destination for anyone who enjoys the charm of Bali’s natural attractions and magnificent natural scenery. 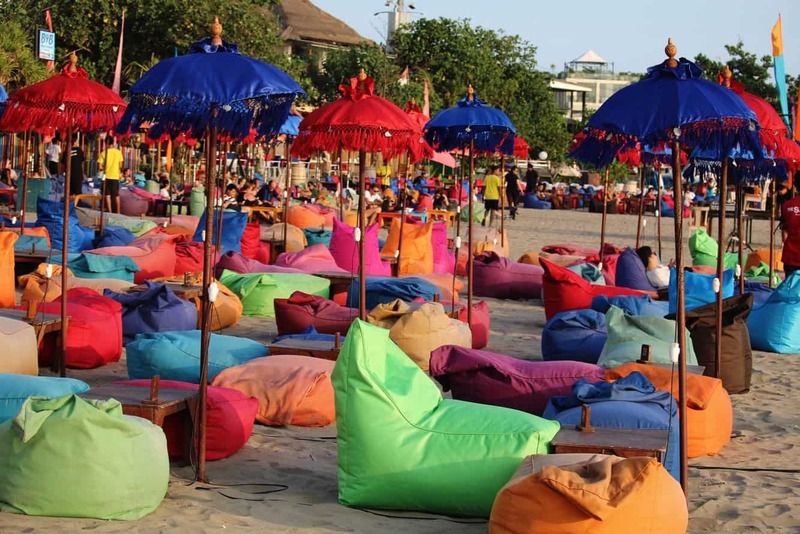 The beach is located on the south-western coast of Bali, near the popular areas of Kuta, Seminyak and Legian. 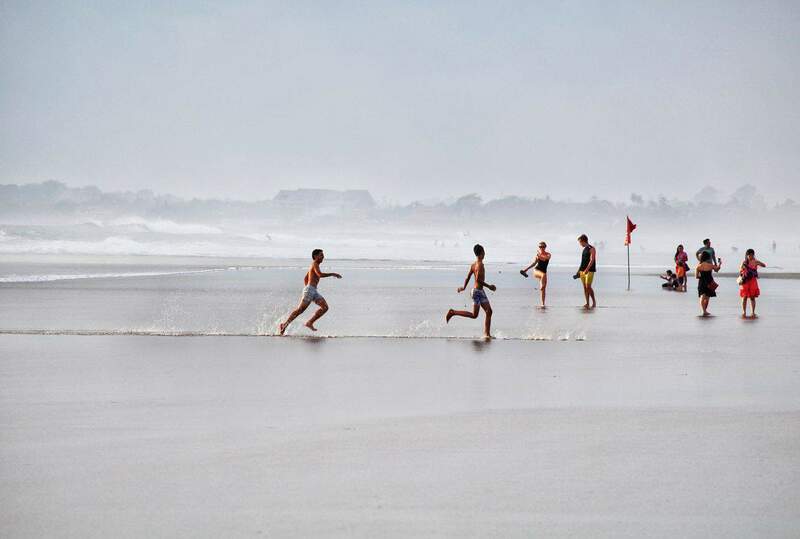 Canggu Beach is best known as a surfing beach, filled with many people learning to surf. There is a seaweed covered reef where the waves break, so mind your feet if you go in for a swim. 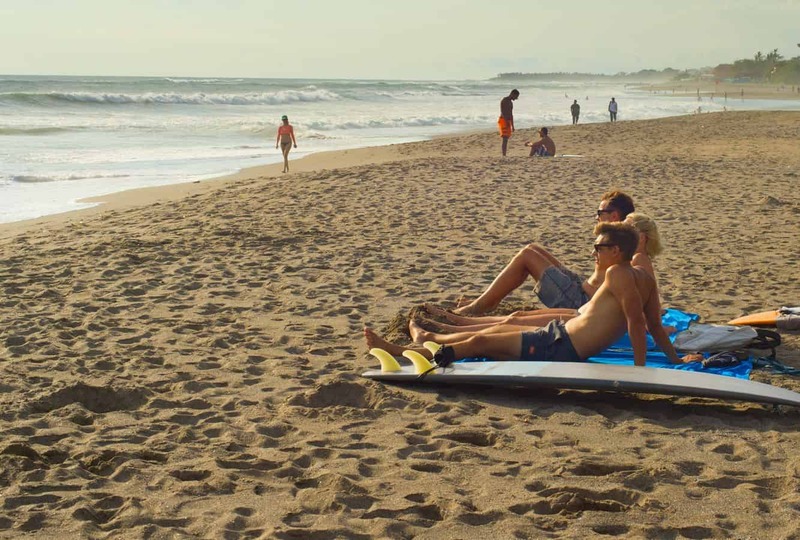 Those wanting to learn how to surf, can rent boards and other equipment from vendors near the beach. 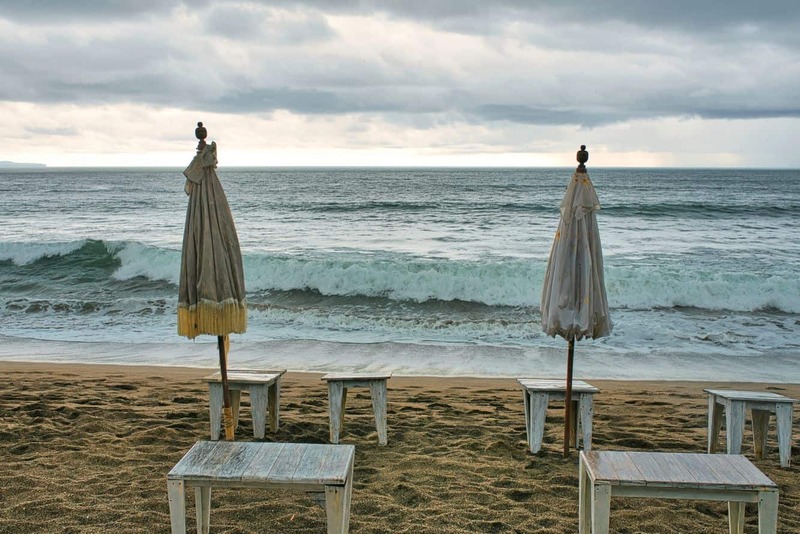 The beach itself consists of that well known black sand of Bali, which comes from the Volcanic soil on the island. 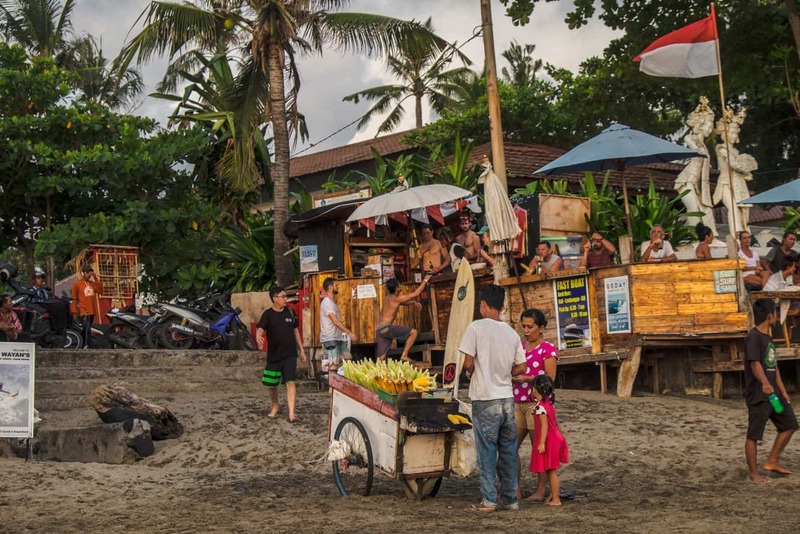 You can catch a magnificent sunset here in the evenings, and on the street leading towards Batu Bolong beach there are many restaurants and bars located nearby. 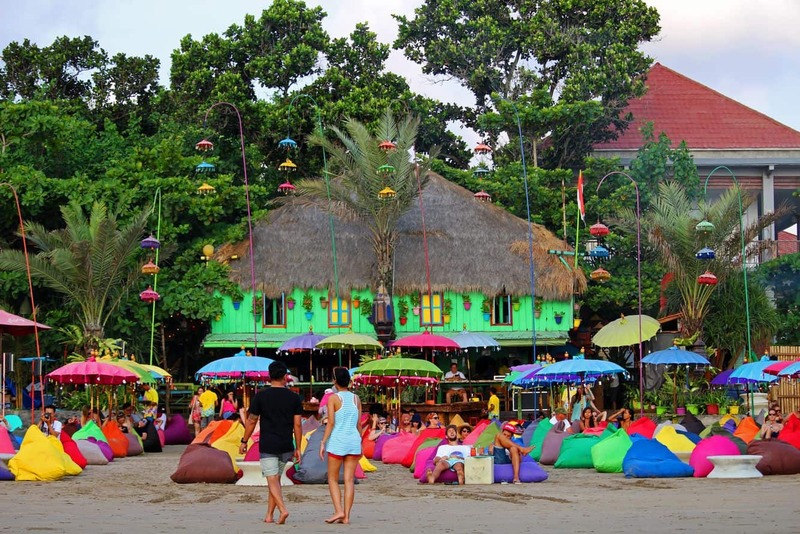 Accommodation is easily available near Canggu Beach as the area is a popular expat hot spot. Much of the accommodation is in the form of private villas, but there are also hotels located just a short walk away.